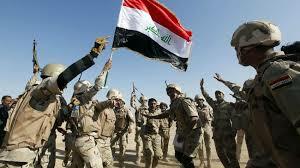 In Iraq, it takes two hundred thousand dollars to become a colonel and two million dollars to become a general. Is it any wonder why these guys keep losing? If money bought military victories or a reputation then the Saudis would be kings of the world, but, they are hardly even the kings of Arabia. Crucial to the rise of Isis, al-Qaeda and the Taliban in Iraq, Syria, Afghanistan is not their own strength and popularity, but the weakness and unpopularity of the governments to which they are opposed. The danger of citing extreme examples of corruption from exotic and war-ravaged countries like Iraq, Afghanistan and Syria is that these may sound like events happening on another planet. But the political and economic systems in Iraq and Afghanistan were devised under the tutelage of the US and allies like Britain. He added that this was pervasive and had begun when the US was building a new Iraqi military after the overthrow of Saddam Hussein in 2003, when the American commanders had insisted on out-sourcing food and other supplies to private contractors. These businessmen and the army officers soon determined that, if the Iraqi government was paying money to feed and equip a battalion of 600 men, but its real strength was only 150, they could pocket the difference. So profitable was this arrangement that by 2014 all officers’ jobs were for sale and it cost $200,000 to become a colonel and up to $2m a general in charge of a division. The most corrupt ministers were appointed and the most crooked contracts signed at a time when US officials were the real decision-makers in Baghdad. On March 12, US Consul General Steve Walker visited Al-Sadr Teaching Hospital in Basra to pay his respects to wounded members of the Popular Mobilization Units. The visit marked the first time a US official has publicly met these troops. This is particularly remarkable as until now, the official US position toward the Popular Mobilization Units was negative, and the United States had even demanded that the Iraqi government prevent the forces from taking part in the operations to liberate some areas, such as the city of Ramadi in Anbar, that were freed without their participation by US request. Some observers feel that Walker’s visit and remarks reflect a great shift in the US alliances in the Middle East. Following Iran’s nuclear deal, US policy has clearly changed, moving away from its old friends in the region, most notably Saudi Arabia, and closer to Iran. In an interview with The Atlantic on March 12, US President Barack Obama criticized Saudi Arabia, which “heavily funded Wahhabist madrassas, seminaries that teach the fundamentalist version of Islam.” When asked whether Saudi Arabia is a friend of the United States, he answered, “It’s complicated.” Obama added that the Saudis need to “share” the Middle East with their Iranian foes. Allen concluded that the United States is going to need to assume a positive role in supporting the force in order to defeat IS. When ISIS captured the ancient city of Palmyra in Syria last year, they destroyed and looted priceless pieces of Middle Eastern history. The city was retaken last week by Syria’s army, and as the extremists lose more ground in Iraq, archaeologists are returning to endangered sites to resecure the past.